I used the distress ink for all tags. 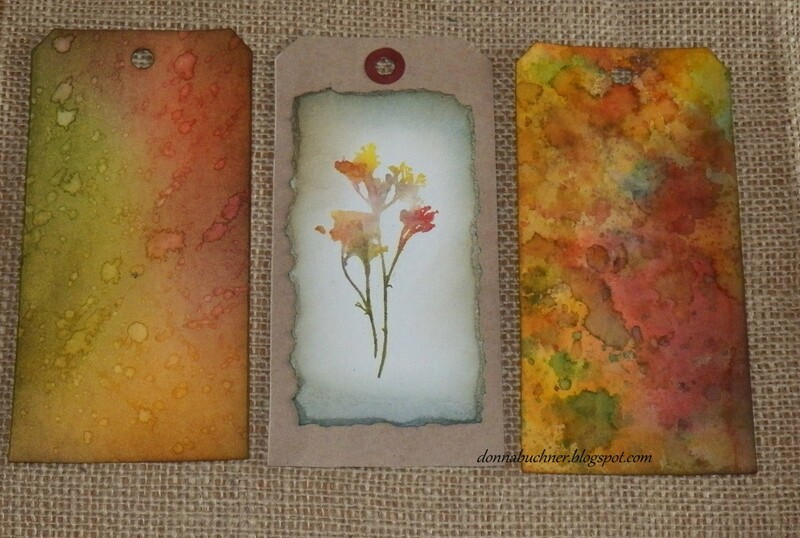 The first tag was blending the distress inks, the second is brushless watercolor :) and the last tag is a wrinkle free tag. I LOVE how they turned out! as always feel free to leave a comment, I enjoy the feedback. Love the tags Donna!!! The colors you chose are FANTASTIC!!! Thank you Leanne! yes I really like those colors.